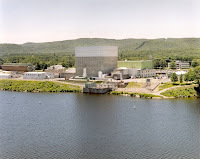 This morning, I have a blog post at ANS Nuclear Cafe: The Mountains of Vermont Yankee. In this post, I show how every issue about Vermont Yankee has another issue hidden behind it. There's Vermont Yankee and the Constitution, and behind that there's Vermont and other constitutional challenges, and behind that there's the business climate in Vermont, and behind that there's Vermont Yankee as cash cow and behind that...well, you get the picture! Writing about Vermont Yankee is like facing a mountain range. There's always another issue behind this issue, another hill behind this hill! Hopefully, my post puts some Vermont Yankee controversies in perspective. Ahem. Before everyone emails me with corrections. I am aware that Vermont Yankee is in a comparatively flat section of Vermont. 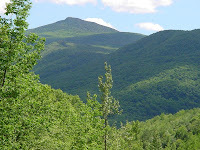 I am also aware that the iconic Vermont mountain pictured here (Camel's Hump) is in the northwest part of Vermont, while Vermont Yankee is in the southeast corner of the state. The 93rd Carnival of Nuclear Energy Blogs is up at Next Big Future. My how time flies. It seems only yesterday that Brian Wang of Next Big Future was suggesting we have a nuclear blog carnival. He definitely had some experience with blog Carnivals: Carnival of Space 238 is also posted at Next Big Future. Thank you, Brian, for being the guiding force behind these Carnivals! 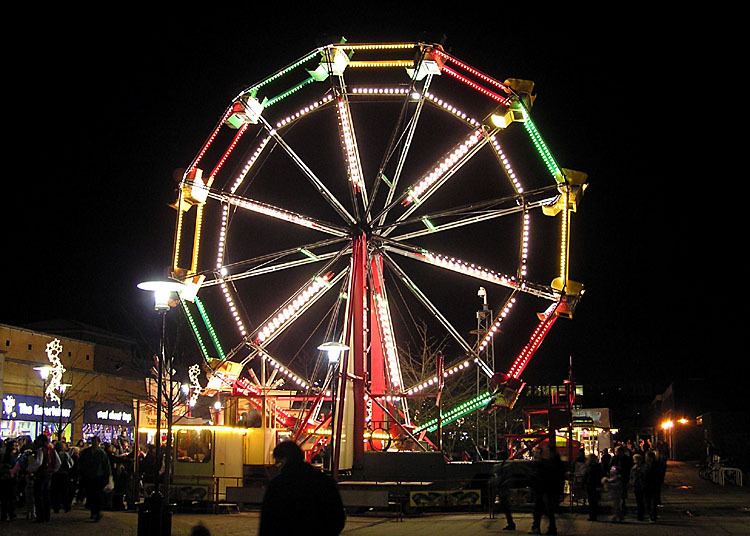 It's a great Carnival, and a great place to visit on a slow Sunday evening! For the past twenty-eight years I have represented well over three thousand clients as a trial attorney in the Northeast Kingdom. In each of those cases I have had to examine a set of facts and assess how the law would be applied to those facts. This past weekend I read the decision of Judge Murtha in the Vermont Yankee case. Last night on the Channel 3 news I was alarmed to hear you remark that Judge Murtha had made the wrong decision. Respectfully, I must disagree. I'm writing to urge you to reconsider any thought of going forward with an appeal. The facts of the case are quite clear. For over fifty pages Judge Murtha identifies quotation after quotation of state senators using safety as the basis for their desire to see Vermont Yankee close. Sprinkled throughout the decision are repeated warnings from various witnesses that safety concerns were not within the purview of state concern. Although there may exist other reasons why some senators voted the way they did, the facts found are iron-clad that safety concerns were the foundation for the ultimate vote. An appellate court will give great deference to the record below. The record below here is simply not in Vermont's favor. The law is also quite clear. Under the Atomic Energy Act, safety of a nuclear power plant falls squarely within the purview of the federal government. State law does not trump federal law. 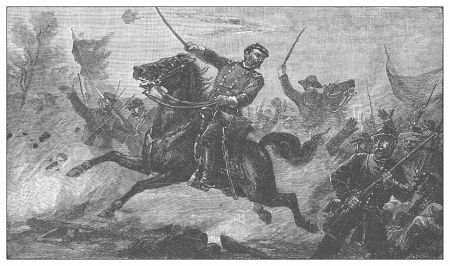 That constitutional mandate was not just decided in a federal courthouse; it was cast in stone at Appomattox Courthouse back in 1865. An appellate court cannot change that. The law is simply not on Vermont's side. Judge Murtha's decision has thus left Vermont with an insurmountable obstacle. I'm writing because I fear the decision to appeal may be clouded by the emotions of politics. With neither facts nor law on a client's side, I believe we lawyers have a duty to rise above emotions and explain why pursuit of a legal claim is not going to produce the remedy desired. While the decision to appeal is ultimately yours, it will be up to my legislative colleagues and I to finance that decision. At a time when (among other things) we are struggling to fund a state hospital system for our most vulnerable citizens, I submit we should spend no more money on this case. This letter was also printed in the Caledonian Record. Why the illustration at the head of the post? 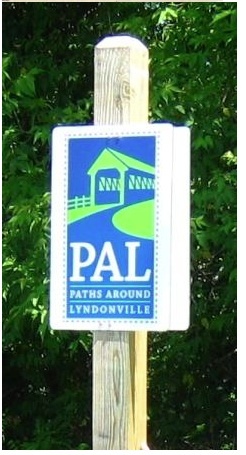 Senator Benning was a charter member of the Paths Around Lyndonville (PAL) group. They organized a pedestrian walking path along the banks of the Passumpsic River. You can read more about Senator Benning here. People ask me about my opinion of the Attorney General's decision to appeal. I could definitely write blogs about this, but I decided to print these guest posts instead. I think Vermont legislators such as Tom Koch (guest post yesterday) and Joe Benning (today) do a wonderful job of putting this issue in Vermont context. I couldn't do better and would probably do worse. I must also include a link to today's editorial in my hometown paper: The Sorrel Record: Questions Mount Along with Losses. This editorial supports my conclusions that Vermont sometimes cares more for "state's rights" than for the rights of its citizens. I listed similar concerns in my blog post Citizen's Rights, State's Rights, and Vermont. I hate to say “I told you so,” but…. In 1997, the legislature passed a new campaign finance law, severely restricting both contributions and expenditures permitted in Vermont elections. The restrictions were, for most offices, totally unreasonable, without any inflation factor for future years, and in clear and absolute contravention of the 1976 United States Supreme Court decision in the case of Buckley vs. Valeo, which held that for the exercise of First Amendment rights in this day and age, it is often necessary to spend substantial amounts of money, and that many campaign finance restrictions, therefore, were unconstitutional. During the debate, I quoted the Buckley case, and the answer I received was that the committee was well aware of that case, but that it was 20 years old, and the committee thought it was time for the Supreme Court to reconsider the case, and the bill before us was designed to set up the necessary challenge to Buckley. Obviously, the committee was totally unaware that in constitutional law, 20 years is like yesterday, and there was absolutely no reason to believe that the Supreme Court was inclined to change its mind. Eventually, the bill passed, with only 17 negative votes in the House, mine being one of them. The court challenge eventually came, it went up to the Supreme Court, Vermont lost, and the Court threw out most of Vermont’s 1997 law. No surprise there. But in certain federal cases, including cases based on constitutional claims, the loser often has to pay the attorney fees of the winners. In this case, the state paid about $1.5 million—a rather poor use of the taxpayers’ money for what was a thoroughly improvident escapade in the first place. One would think we would have learned our lesson. Don’t be silly. Then there is the subject of data mining, which is the practice of the pharmaceutical industry trying to determine which drugs physicians are prescribing, and then using that information to approach the physicians and persuade them to prescribe a particular manufacturer’s drug instead. It is a practice that I do not like and believe should be outlawed or severely restricted. There were those of us who urged caution and suggested that we ought to wait until the New Hampshire case had fully run its course through all appeals before adopting a law in Vermont. We suggested that the tweaked version was not so different as to avoid a court challenge, and that such a challenge—win or lose—would be very expensive. Nevertheless, the majority proceeded full steam ahead and voted for the bill. Meanwhile, Maine also adopted a similar law, less strict than either New Hampshire’s or Vermont’s. Not surprisingly, the pharmaceutical industry sued Maine, and the federal district court in Maine, concluding that the drug companies would likely prevail at a trial on the merits, issued a temporary injunction preventing Maine’s law from taking effect. Vermont has now been sued as well, and it is costing us dearly. The Attorney General has seven attorneys in his civil litigation division, four of whom are known to be working on this case, at least part time. That is a substantial allocation of limited resources. In addition, the budget adjustment bill that passed the House this week contains $117,000.00 to pay expert witnesses for this case, and the case is just beginning. So the question is why are we looking for this fight in the first place? What do we have to gain? The theory is that if we can prevent data mining, then we can prevent the use of the data for marketing purposes, and if we can restrict marketing and advertising, we can drive down the price of drugs. The trouble with that theory is that it is untested, and as the New Hampshire court concluded, there is no evidence that it will work. If our only gain is speculative cost savings, what are the risks? First, the lawsuit will be expensive just to present Vermont’s case. The current tab of $117,000.00 for expert witnesses will undoubtedly grow, and lawyer time, depositions, travel, and other expenses need to be considered. Half a million dollars is not an unreasonable estimate. And if we lose, the law requires that we reimburse the drug companies for their attorney fees and other expenses in challenging the law. We need to remember that just a year ago, we lost a challenge to our campaign finance law, and we had to pay $1,500,000.00 to the challengers. We could end up doing so in this present litigation. I have a suggestion. Rather than amend the data mining law, repeal it! The drug companies would have to drop their lawsuit, and we could cut our losses. Then wait to see how the New Hampshire and Maine cases finally turn out after all appeals have been taken. That should give us some pretty good guidance as to what we can and cannot do to limit the practice of date mining. Once we have that guidance, re-enact a law that follows the court’s guidelines and takes the maximum permitted action to restrict data mining. That way, we may avoid a new lawsuit, and even if we do get sued, the new law will be most likely to survive the challenge. I intend to offer such a repeal amendment next week, but I predict that I will not be successful. It seems that we enjoy being sued! Guess what. The Attorney General took his “defensible” case to the Supreme Court…and lost. So far, we have received claims for legal bills from the drug companies who challenged the Vermont law in excess of one million dollars, and this week, the House voted to add $3,000,000 to the “state insurance liability fund” (now there’s a euphemism if I ever heard one!) to cover “pending or possible” liabilities. Think we’re finished? Not a chance. You’ve no doubt heard that Vermont lost its Entergy Vermont Yankee case in Federal District Court and that Vermont Yankee will not be closing in March, as planned by its opponents, including Governor Shumlin. Because nuclear safety issues are solely the province of the federal government, and Judge J. Garvin Murtha found that the law Vermont was using to close down Vermont Yankee was predominantly motivated by safety concerns, he ruled that the Vermont legislature could have no legitimate role in the matter of relicensing the nuclear plant, and the matter should be handled by the Vermont Public Service Board. We have established processes to decide contested public utility cases. The Public Service Board is a three-member board appointed by the governor and confirmed by the Senate, which has special qualifications and experience with public power and utility issues. The board is appointed to act in a judicial-like capacity, finding facts after formally hearing the evidence, applying the law to the facts it has found to be true, and ultimately determining whether granting the applicant’s petition is or is not in the “public good.” An applicant and other interested parties, both pro and con, present their cases before the Public Service Board. The public is formally represented by the Public Service Department. Eventually, the PSB makes its decision. But in the case of licensing or relicensing a nuclear plant, the PSB is prohibited from making a decision—for or against the applicant—unless the legislature flashes the PSB a green light. So what, one might ask, does the legislature really know about nuclear plants? What special expertise do the 150 members of the House and 30 members of the Senate have? Why should the legislature hold the ace of trump, to play or not to play at will? I would argue that we have no such expertise, and that we should not be involved in the process in the manner that we are. 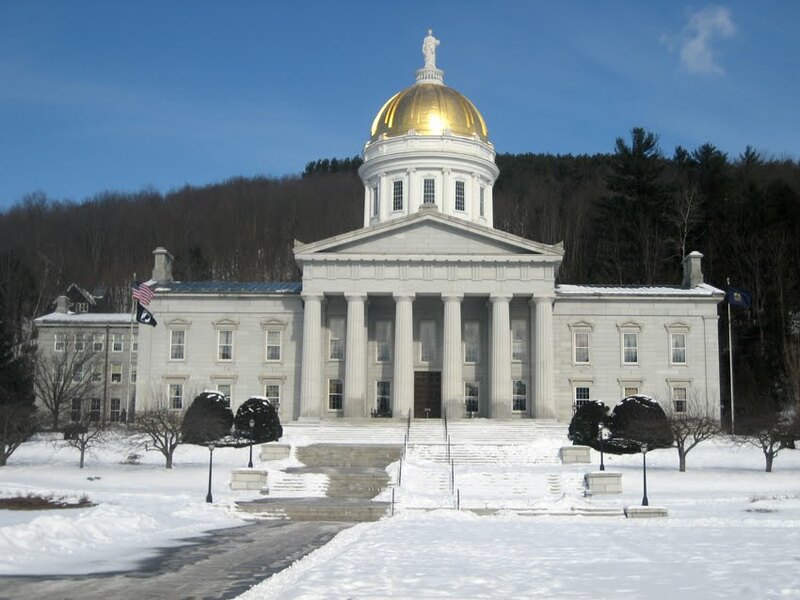 Forty-nine other legislatures have seen fit to respect established processes; only the Vermont legislature thinks it is the repository of all wisdom. I trust that the established process will work to the benefit of all Vermonters if we allow it to, and for that reason, I am prepared to vote to get out of the way and allow the PSB to do the job it was appointed to do. Now that Judge Murtha has sent the question of relicensing back to the PSB and other established regulatory agencies, we are waiting to find out if the Governor and the Attorney General will decide to appeal. In view of the fact that legislative involvement in the relicensing process was improvident in the first place, that few legal authorities are surprised by Judge Murtha’s decision, and that his 102 page opinion has been described as very detailed and well reasoned (not to mention the Attorney General’s track record in the Supreme Court), they would be little short of crazy to file an appeal. By the way, expect Entergy to send the state its legal bills, which will probably be in excess of two million dollars! One might hope that by now we have learned our lesson, but I have no confidence that we have done so. I am absolutely fed up with the idea that Vermont must “lead the nation,” that we need to be David slaying Goliath, and that we should waste the taxpayers’ hard-earned dollars in fruitless legal challenges that any good lawyer will tell you up front are losing causes. As I said at the beginning, “I don’t like to say ‘I told you so,’ but…” the fact is, I did. This "Scribbling" also appeared in Vermont Tiger. Representative Koch puts the current court case in the perspective of other Vermont attempts at redefining the Constitution. "But He Sure Can Take a Punch. Sorrell Comes Out of His Corner for Another Round" by Todd Smith at Vermont Tiger. Legal Bills, by John McClaughry at Vermont Tiger. The 92nd Carnival of Nuclear Energy Bloggers is up at ANS Nuclear Cafe. 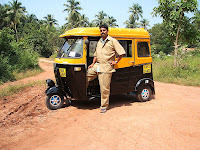 This one is of special interest to the readers of this blog. 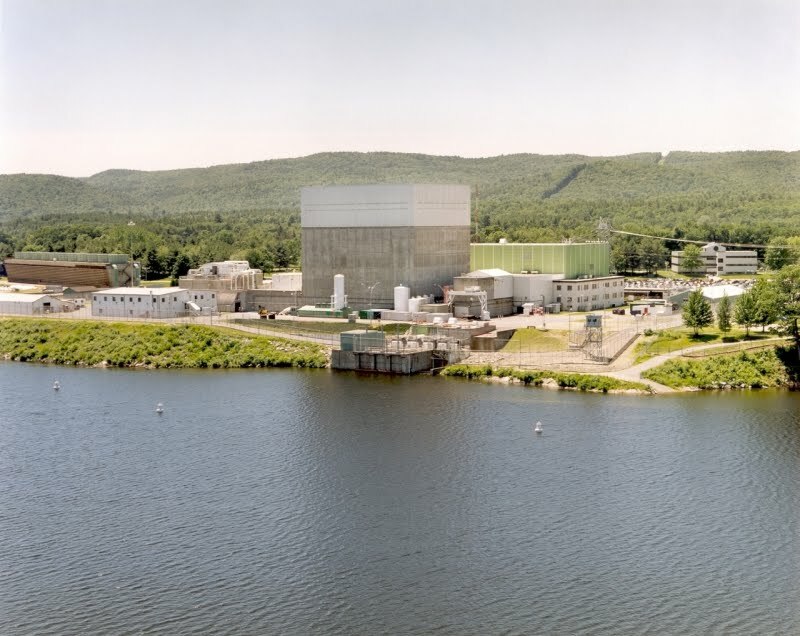 At the top of the Carnival post, compiler Dan Yurman writes that we might as well call the Carnival the "Vermont Yankee" edition because of all the news coming out of that state about that reactor. 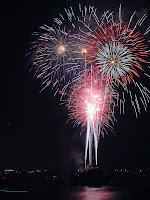 The 92nd Carnival includes links to the three excellent NEI Nuclear Notes blog posts on the hatchet-job CNN program. It includes ANS Nuclear Cafe posts by Tamar Cerafici on a Plain English review of the Court Decision, and the post by Howard Shaffer on the politics of States Rights in Vermont and other states. There are links to some recent Yes Vermont Yankee posts, including the Vermont AG's appeal of the court's ruling. Will Davis, at Atomic Power Review debunks the Vermont Yankee CNN program. Yes, a large part of this Carnival is the Vermont Yankee edition. Of course, there's a wide world beyond Vermont. Brian Wang of Next Big Fugure reports on nuclear generation figures world-wide, and on the Areva Anteres reactor. Dan Yurman at Idaho Samizdat reports on the Areva HTGR design for process heat applications. He also reports the result of a face-to-face meeting between U.K. Prime Minister Cameron and French President Sarkozy. The meeting led to a deal involving Areva reactors to be built in the U K. Rod Adams of Atomic Insights looks at the relationship between M I T and natural gas money. and Cheryl Rofer of Nuclear Diner explores the music of the (very little) spheres in the gammaphone. You read that right, the gamma-phone. She also describes the nuclear technology NASA needs for space exploration. Meanwhile, at Nuke Power Talk, Gail Marcus describes the relationship between regulators and regulated in Japan. It's not a pretty sight, unless you think regulators should depend on the regulated for...their own next job. Come to the Carnival! Learn about Vermont Yankee! Learn about Areva! Learn about Japan! The Carnival is great reading all the time, and especially when it is the Vermont Yankee edition. At Idaho Samizdat, Dan Yurman writes: Vermont Yankee in the Spotlight. It is cast as the central figure on CNN horror flick. At Atomic Insights, Rod Adams posts CNN's carefully timed attack on nuclear energy and NRC credibility. Among other things, Rod figures out how CNN managed to make the NRC look so very unresponsive. Enjoy the Carnival and these recent posts, too. CNN doesn't want both sides of the story on Vermont Yankee. A CNN show is airing today and tomorrow: U S Nuclear Plants Similar to Fukushima Raise Concerns. The show is basically a hatchet job on all Mark 1 reactors, with extra-special attention to Vermont Yankee. The trailer includes extensive interviews with Arnie Gundersen, scary music, and a segment that makes the NRC look like a bunch of stone-walling idiots. Watch the trailer if you have a strong tummy. Why do I say CNN doesn't want both sides of the story? Well, some of it is just seeing the trailer. Some of it is personal. CNN called me in November about getting both sides of the story, but they never called back or interviewed me. They never interviewed Howard Shaffer or any other plant supporter whom I know. To me, it's all adding up to a show that Helen Caldicott would love. It will air tonight and tomorrow night at 8 p.m. ET and PT. But you can make a difference! McErlain also posted Some Facts on Vermont Yankee That Didn't Make the CNN Report and How Safe is Vermont Yankee? Ask the NRC, not CNN. The latter has great links to the NRC reports on VY safety and operation. Meanwhile, at Atomic Power Review's February 17 post, Will Davis has links to everything you would possibly want to know about Mark 1 reactor safety and containment. Great job, Will! The more general audience has also struck back. At the main CNN page about the upcoming video, there are over 1000 comments at this writing. Many of the comments are pro-nuclear. At a webpage CNN wrote about the comments on the original page (the page about the page is called overheard on CNN) CNN notes that the comment below has the most "Likes". Jack Baker: "We have been using nuclear power for over 50 years, and there have been very few serious incidents, and only a couple of incidents with injuries or radiation release. And considering that the quantity of waste by-product is significantly less than any other type of power generation, including natural gas, how can people be so adamant against nuclear power?" The first and most simple action would be to go to the CNN page about the video, register, and post a comment. You can also post a comment on that page through Facebook or Disqus or Twitter. Most of the people who have commented on the page are using screen names. If you want a screen name, I think that the CNN registration is the easiest way to get one. You can also tweet to @cnnpresents and @amberlyon (Amber Lyon is the reporter.) I recommend that you tweet while the show airs, sometimes called live-tweeting. Live-tweeting would probably be most effective way to comment with Twitter. Don't sit by while extremely biased reporting and scary music set the nuclear agenda for Vermont. Say something! Yes, we all knew it would happen. The State is appealing the judgment. The State is throwing good money after bad, but Shumlin has to show his hard-core supporters that he really tried. The appeal is a short document, and there will be more to come, no doubt. But here's a link to the document that was filed today. Filed early morning Saturday at the beginning of a three-day weekend in order to avoid news coverage? Or to annoy the press? Who knows? Once you are throwing taxpayer money down the toilet, I guess anything goes. Here's a longer Vermont Digger article about the appeal, including Governor Shumlin's latest comments about "Entergy Louisiana." (Losing on the basis of the Commerce Clause doesn't seem to prevent Shumlin from demonizing other states.) The main point of the appeal seems to be that "citizen legislators" can talk about nuclear safety and that does not affect the laws they pass. They're just chatting. In other words, statements like "we have to find another word for safety" don't show intent. Whatever. I guess the courts will now decide. In April, Entergy sued the State of Vermont: the State was attempting to shut down Vermont Yankee, using illegal grounds and illegal tactics. The Entergy case included federal pre-emption issues, derived from the Supremacy Clause of the Constitution. The Entergy case also described how the state had interfered with the Commerce Clause of the Constitution. In other words, the Entergy case depended on the Constitution. Vermont's response to the lawsuit depended on the state's assertion of State's Rights. I blogged about this at ANS Nuclear Cafe, shortly after the lawsuit was filed. My April post was titled States's Rights and the NRC. I caught an earful about that post. The first person to comment on the post didn't like it, and he ended his comment with what he thought was a real zinger of a criticism. Tom Murphy finished his remarks with the statement: Finally the use of the term “States Rights” has such a negative connotation it is almost inflammatory. I guess it used to be inflammatory. Times have changed in Vermont! It looks like the term "States' Rights" is no longer a term that liberals will avoid. In January, when the judge's ruling supported Vermont Yankee, the Seven Days blog reported the reaction in the Vermont Statehouse. The Senate President Pro Tempore, John Campbell, was quoted as follows: I think it is a deterioration of states' rights. The Speaker of the House, Shap Smith, said: There are some concerns about whether states' rights have been constricted. Tony Klein, a long-time Vermont Yankee opponent who chairs the House Natural Resources and Energy Committee said: "It's a sad day for state's rights and a sad day for America." Margaret Cheney, a member of the House Natural Resources Committee has impeccable liberal credentials. 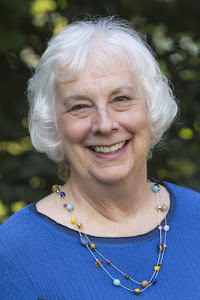 She was quoted in my local paper: The court ruling is a step backward for state rights, she said, but it left an opening for Vermont to regulate its sole nuclear plant. "A sad day for state's rights is a sad day for America." That statement makes me feel ill, and I don't care if my comment is inflammatory! (In an earlier version of this post, I put up a Confederate flag. It was too inflammatory. I have taken it down.) Do these people know what they are talking about? I am a person who was alive during the days when Martin Luther King Jr. was active. I am a person whose husband lived in Florida and went to a segregated school (the only kind there were in Florida at the time). I don't think that a "Sad Day for State's Rights is a Sad Day for America." Quite the opposite, as a matter of fact. A Sad Day for State's Rights is a Good Day for America. In my opinion, champions of State's Rights are rarely champions of individual rights. And that hasn't changed since the days of the Freedom Riders. I can just hear some of my readers groaning. "Oh for Pete's sake, Meredith! This was a lawsuit between a company and a state. No fire hoses or police dogs were involved! What on earth are you talking about? You insult the entire civil rights movement with this comparison." Okay, my friends. I live in Vermont, and I am talking about the Vermont Attorney General and his disrespect for the rights of citizens. Lots of people are talking about him in my township, and it has nothing to do with Vermont Yankee. His actions are an important part my contention that states that begin challenging the Constitution are states that think they are a law unto themselves. These states see nothing wrong with trampling on the rights of their citizens, as Hume and Hamilton predicted. In recent months, there have been three incidents where the police in my township trampled on the rights of citizens. They also trampled on the actual citizens, by beating them up. None of the citizens was even charged with any crime. In all three cases, the Vermont AG cleared the police of any wrong-doing. Now, in many jurisdictions, police occasionally behave badly. This is no surprise. However, it is shocking to me (and to many people in my township) that the state Attorney General took no action, not even the mildest hand-slap, about these egregious beatings by the police. My conclusion: State's rights count for a lot in Vermont. Citizen's rights don't count for very much. Burrell case: In the first case, the Burrell case, the police did not have to reveal their records, because they said they hadn't made an arrest. Oh yeah. They pepper sprayed a homeowner in his own home, put handcuffs on him that cut his wrists, and then discovered they were wrong and took him to the hospital. No arrest, no records revealed. The Attorney General was fine with this. Here's the case: an African-American man was very sick, naked and sitting on the toilet in his own home. He had knocked over a lamp, and the police got a call that there was a burglary at the home. The man was then "subdued" by the police who thought the home had been burglarized. (And the burglar had decided to sit naked and sweating on the toilet?) The man was muscular, sweating profusely, and did not respond to police orders. Pepper spray time! Here's a link to the incident as Anne Galloway and the ACLU filed suit about it. Here's a link to Attorney General Sorrell's final disposition of the case against the police. In the AG's opinion, the police did nothing wrong and no harm done. Thierren: Monica Thierren is not a homeowner. At the time of the incident, she was living in an inexpensive motel with her boyfriend, and had called in a domestic violence situation to the police. When the police arrived, Ms. Thierren was very drunk and the officers found no evidence of domestic violence. At that point, the police said that they attempted to "grab her shoulder in an attempt to place her in protective custody" but she fell and suffered a head injury. Three witnesses at the motel said that the police slammed her to the ground. The AG investigated for 13 months (supposedly) but didn't interview the witnesses. As my local paper wrote in Missing Witnesses: That's a pretty long time, so it is puzzling to learn that during those 13 months, only one of the three civilian witnesses to this encounter was interviewed and her statement was essentially ignored. Granted, the attorney general's office had other things to do during this time, like losing the Vermont Yankee case in federal court, but it doesn't seem too much to ask to at least talk to the witnesses and address the contradictions between their account and the official Hartford police version. Daoust case: The third case is that of Derek Daoust. This man is a resident of Quechee, an upscale village in my township. He drove his car into the ditch on the way home one night. He sensibly got out of the car and walked home, deciding to get the car towed in the morning. The police found his car and went to his house. That is when the fun began. The police didn't have a warrant for an arrest or search, but they came to Daoust's door and insisted that he step outside to talk with him. He refused, since they had no warrant and he was committing no crime by being at his own house. They pulled him out of his house and once again "subdued" him, this time beating him with their flashlights. The local paper wrote about this in Without Warrant or Consent. The Attorney General again found no wrong-doing by police, though he did suggest that the Hartford police should be trained to obtain either a consent or a search warrant in order to enter a residence. The AG was supposed to decide if the police committed a crime. Instead, he decided they needed "more training." Really? As the local paper concluded: The bad news is that the narrative of Darrek Daoust's encounter with Hartford police ought to chill to the bone anyone who believes that the Fourth Amendment means what it says about the people's right to be free from unreasonable searches and seizures, and the requirement for authorities to obtain warrants. This violation of the most clear aspects of the Constitution didn't bother our Attorney General. He decided to act as an authority on police training, rather than an authority on the law. In my opinion, disrespect for the Constitution and insistence on State's Rights cuts two ways. Yes, it leads to lawsuits in federal court. It also leads to disrespect for the rights of citizens, especially if they are African-American, poor and drunk, or even well-off but insisting on their constitutional rights. I don't like the cry of "state's rights" and I don't mind saying so. I like the Constitution. As one of my local friends (who is against Vermont Yankee) put it: "I wouldn't open my door to the Hartford police. And we have got to do something about that Attorney General!" States that espouse State's Rights in contention against the federal government are also more likely to consider themselves a law unto themselves, and trample on the rights of their own citizens. We ... observ(e) the falsehood of the common opinion, that no large state, such as France or Great Britain, could ever be modelled into a commonwealth, but that such a form of government can only take place in a city or small territory. 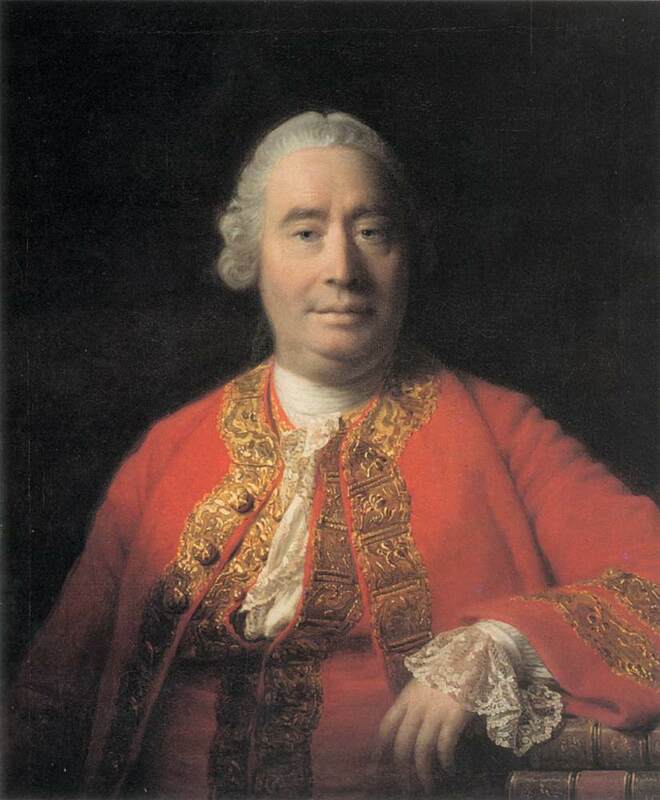 The contrary seems probable...(In a large state) the parts are so distant and remote, that it is very difficult, either by intrigue, prejudice, or passion, to hurry them into any measures against the public interest. Hence, it clearly appears, that the same advantage which a republic has over a democracy, in controlling the effects of faction, is enjoyed by a large over a small republic, -- is enjoyed by the Union over the States composing it....The influence of factious leaders may kindle a flame within their particular States, but will be unable to spread a general conflagration through the other States. So we have defined the problem philosophically: the potential tyranny of a small state over its citizens, unless checked by a Constitution or by federal powers. Civil rights were enacted at the Federal level. That wasn't by chance. The Bill of Rights is also at the Federal level. Again, not by chance. When a state begins stepping on the Constitution, it will soon begin stepping on its citizens. I am working on a blog post about Vermont and State's Rights. Meanwhile, here are three recent articles on related issues. Geoff Norman at Vermont Tiger. We have abundant evidence that the Vermont legislature repeatedly passes unfair laws that fail the constitutional test. However, the only people who can fight these laws are big companies like Entergy. What does that mean for the ordinary Vermont citizens who do not have resources to fight unfair laws? Read Norman at Grounds for Appeal. Howard Shaffer at ANS Nuclear Cafe. Howard Shaffer describes the irony of the legislature promoting States Rights while holding press conferences in the Cedar Creek Room. The huge painting in this room commemorates Vermont's important role in the Battle of Cedar Creek during the Civil War. Read Reflections on the Cedar Creek Room. Tamar Cerafici at ANS Nuclear Cafe. Lawyer Tamar Cerafici describes the ruling and its constitutional grounds. Read Cerafici Let's Find Another Word for Safety--Entergy v. Vermont in plain English. Sheridan at the Battle of Cedar Creek and Vermont State House in Winter from Wikipedia. Yes Vermont Yankee is proud to host the Carnival of Nuclear Energy Blogs this week. This is a great week for nuclear energy: the NRC issued the first license for a new generation of nuclear power plant. Units 3 and 4 at the Vogtle site in Georgia now have a Construction and Operating License. 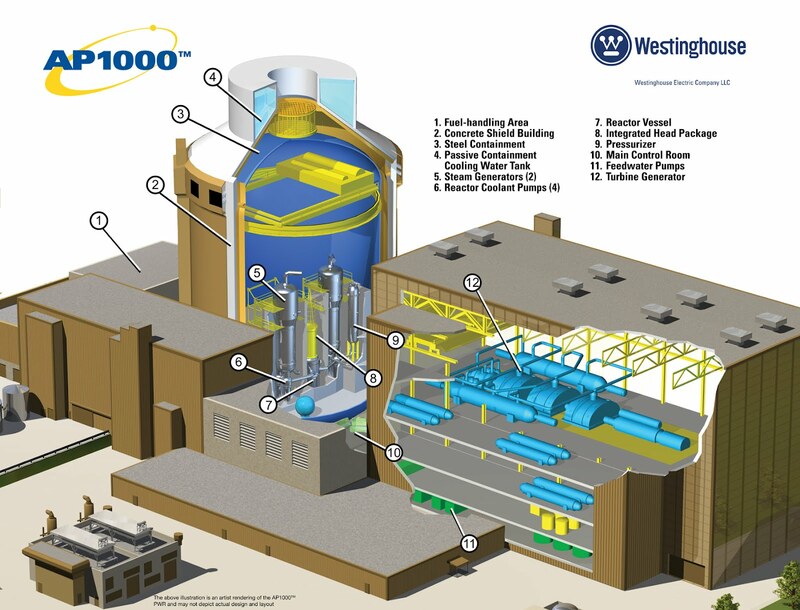 These AP1000 reactors have an advanced design, based on the Westinghouse PWR, but with more passive safety features and less piping. In honor of this historical occasion, I titled this Carnival The Vogtle Edition. Though the Carnival includes more than one topic, let's start with Vogtle. NRC issues licenses for Southern’s Vogtle Project by Dan Yurman at the ANS Nuclear Cafe. 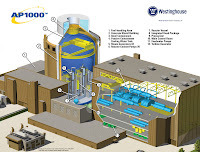 By a 4-1 vote, the NRC opens the door to $14 billion in new construction of two Westinghouse AP1000 nuclear reactors. At the ANS Nuclear Cafe, Dan Yurman breaks down the NRC voting on the Vogtle licenses, the economic impacts, the opposition's next legal moves, and what might be next on the horizon for nuclear energy in the USA as a result. NRC approves the Vogtle AP1000 reactors in just under 4 years. Brian Wang at Next Big Future sums it up. Will Davis presents a condensed and simplified history of commercial nuclear energy, complete with a few rare photos, in order to help the mainstream media get the real perspective on the nuclear renaissance. The Vogtle new build license means 25,000 new jobs in Georgia. That will accelerate the U.S. jobs recovery. Ontario could do the same by restarting the Darlington B process. Thousands of high quality long term jobs east of Toronto would look good in all of Canada. A big congratulations goes out to all the stakeholders involved in the recently approved new build at the Vogtle site in Georgia. This is great news for the global industry as many countries, including Canada, are undergoing the new build review process. 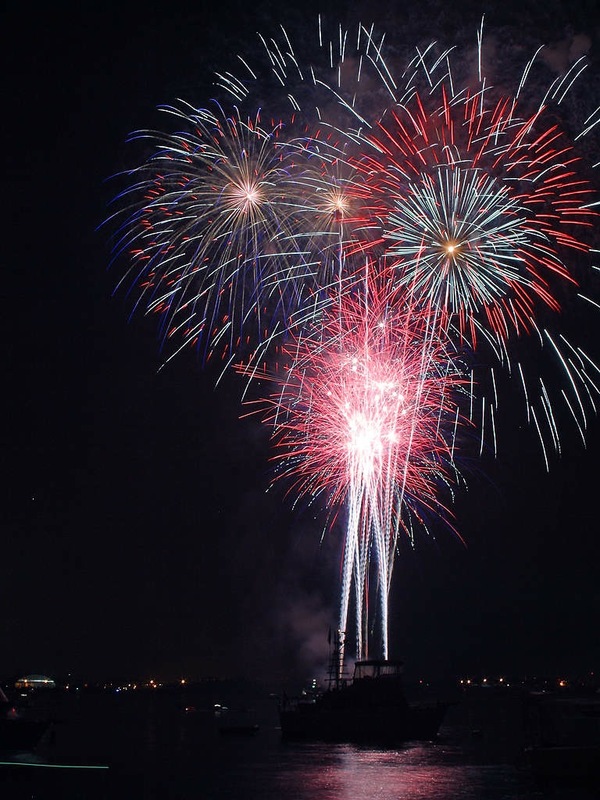 Here's to a balanced and sustainable energy future for North America! Len Koch, whose participation in nuclear energy research started in the 1940s, wrote an open letter to colleagues who are striving to restore interest in the progress that they made in research and development of the Integral Fast Reactor during the period from 1954 to 1994, the year that President Clinton and Hazel O’Leary, his Secretary of Energy, zeroed out all nuclear energy research funding and killed the IFR program. The U.S. Department of Energy issued on Jan. 20 a draft Funding Opportunity Announcement that would provide $452 million in federal funds over five years to establish cost-sharing agreements with private industry to support the design and licensing of small modular reactors (SMRs). The DOE money is expected to be eligible for first-of-a-kind engineering, design certification, and Nuclear Regulatory Commission licensing costs. Also, the reactors must be on track to be licensed by the NRC and in commercial development by 2022. Prime Minister Stephen Harper's recent trip to China proved positive for Canada's uranium industry. Thanks to the successful completion of negotiations between Canada and China, an agreement has been formalized that will increase exports of Canadian uranium to China. This means more jobs and new investments in Canada, and greater security of nuclear fuel supply for China, which is the world’s largest energy consumer. South Korea, and activity on nuclear restarts in Japan and Germany. The German situation is not clear: they may have restarted coal plants and not nuclear. Gail Marcus finds another example of good intentions gone awry. 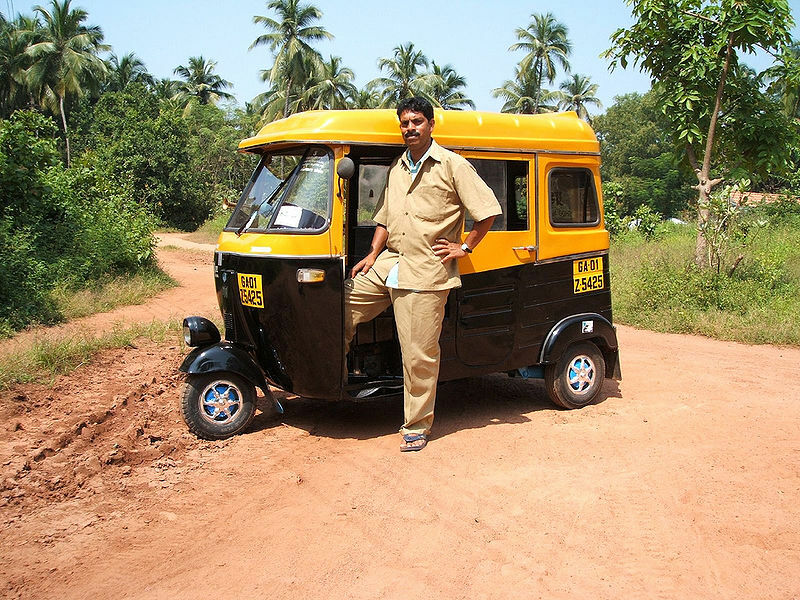 In this case, attempts to use a cleaner fuel prove futile in two-stroke engines in India. The example emphasizes yet again the complexity of energy projections. Simplistic assumptions may give us a distorted impression that achieving some of our energy goals will be easy. The recent scandal over the Sierra Club's acceptance of millions of dollars from major natural gas extraction companies in the service of its "Beyond Coal" campaign highlights not only the inherent conflicts of interest among environmental groups, but the larger problem of rent-seeking in energy markets writ large. Instead of focusing resources on the development of cheaper and more abundant energy sources, producers are instead investing - both directly and indirectly - in ways to kneecap the opposition, gaming the market through regulations, ultimately at the expense of consumers. The Vermont Department of Health routinely analyzes fish in the river near Vermont Yankee. When they find trace radionuclides in the fish, plant opponents (including the state governor) become very noisy about the dangers of nuclear power. If plant supporters mention radiation from fallout, plant opponents accuse them of "hiding behind the bomb." Recently, the impasse was broken. The Department of Health analyzed fish from the far north of Vermont, about 150 miles from Vermont Yankee. The northern fish had the same levels of background radioactivity as the Vermont Yankee fish. Angwin includes the history of the trumped-up controversy as well as the fish facts. In the realm of nuclear energy, the most effective test of the seriousness of objectors is asking simply, "What is your alternative?" A focus on problem-solving, rather than fault-finding, ultimately moots many of the traditional objections to nuclear. When wind power is the supposed alternative, you should have a copy of Jason Correia's first-class wind power to nuclear power infographic. It's the a first-in-a-series feature at the ANS Nuclear Cafe. The energy density of nuclear vs. wind makes for a very dramatic comparison -- and Jason Correia provides a very enlightening description and discussion of wind and nuclear in their own right. The infographic can be saved as a beautiful poster-sized .pdf! Charles Barton is Back On Line at Nuclear Green Revolution! I want to start with some great good news. 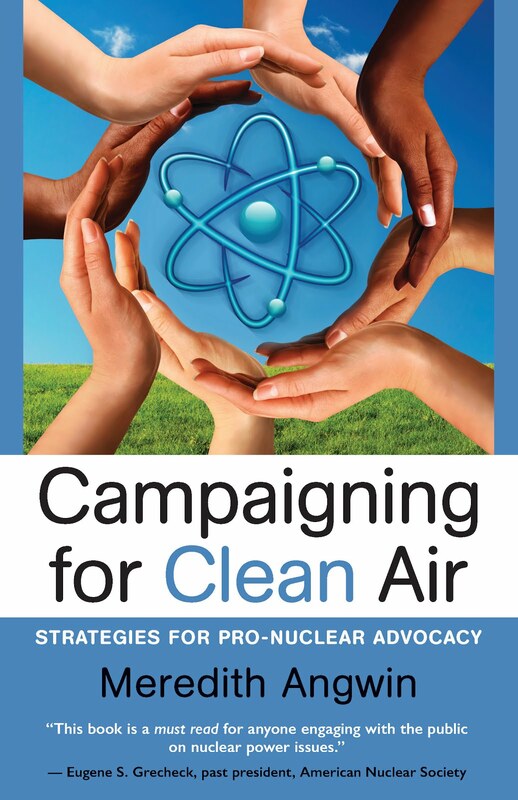 Charles Barton, steady advocate of advanced reactors, is back on-line! His new post is truly called Return from the Jaws of Death. Barton has been truly near to death (ten days in a coma) and we are all so glad to see him back on-line and back among the living. With this wonderful news, I will end this Carnival! When Governor Shumlin presented his State of the State speech on January 5, protesters against wind development stood outside the Capital dome. They weren’t just protesting a wind farm, though. They were protesting Shumlin’s overly-close relationship with Green Mountain Power (GMP), the utility that is building the wind development at Lowell Mountain. 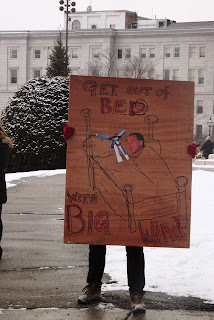 One sign showed Shumlin in bed with big wind. Another sign claimed that the Shumlin administration is a wholly-owned subsidiary of Green Mountain Power (GMP), the company building the wind farm at Lowell. Why were the protesters carrying these signs? They noticed that there appears to be an overly close relationship between GMP and the Shumlin administration. However, the potential dangers of such a close relationship go far beyond the Lowell Mountain concerns. As reported in a previous article at True North reports, Who Owns the Infrastructure, and reprinted on this blog GMP is poised to take over the majority of Vermont’s energy infrastructure. They will control most of the electricity merger through an upcoming merger with Central Vermont Public Service (CVPS) and subsequent control of Vermont’s transmission infrastructure. Meanwhile, the parent company of GMP is Gaz Metro of Quebec. Gaz Metro owns Vermont Gas Systems, and plans to expand the gas pipeline deeper into Vermont. A single Canadian company, Gaz Metro, is poised to own most of the gas and electrical infrastructure in Vermont. The relationship between Shumlin and GMP seems overly close, but can anybody prove it is a problem? Of course not. The reason most organizations (especially government organizations) avoid even the appearance of conflict of interest is that even the appearance makes decisions suspect. With conflict of interest in the background, decisions may appear biased. There is no way to prove they were fair. 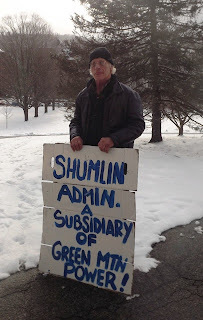 While realizing that conflicts of interest are impossible to prove, we can examine the relationship between Shumlin’s administration and Green Mountain Power. Green Mountain Power’s CEO Mary Powell is a strong supporter of Governor Shumlin. For example, Powell was responsible for raising the funds for Shumlin's inaugural ball. In two posts in the 7 Days poltical blog, Shay Totten described Powell’s role in raising money for the inaugural ball. He then described how the Agency of Natural Resources (ANR) suddenly looked more favorably on ridge-line development after Shumlin took office. After the inauguration, ANR gave a go-ahead to the project despite continuing concerns about high-elevation wetlands. Before Shumlin took office, ANR scientists had said there was no way to offset the environmental effects of the wind farm development. For a graphic portrayal of some of the environmental issues, I recommend this video by Energize Vermont. Why did ANR give permission for the Lowell Mountain wind farm before major environmental issues were addressed? As it happens, Green Mountain Power will lose $40 million dollars in federal tax credits if they don’t complete the project by the end of 2012. GMP’s parent company, Gaz Metro, has only $160 million a year in profits (all divisions). The United States tax credits are very significant to Gaz Metro’s bottom line. Many environmental groups feel the Public Service Board (PSB) decision on the project was rushed and the PSB was overly influenced by the thought that GMP would lose money if they did not approve the construction. As Energize Vermont's Lukas Snelling said in July: "The PSB and ANR must not allow GMP’s financially-driven construction schedule to undercut their obligation to protect the environment and provide all parties a say in the review process." 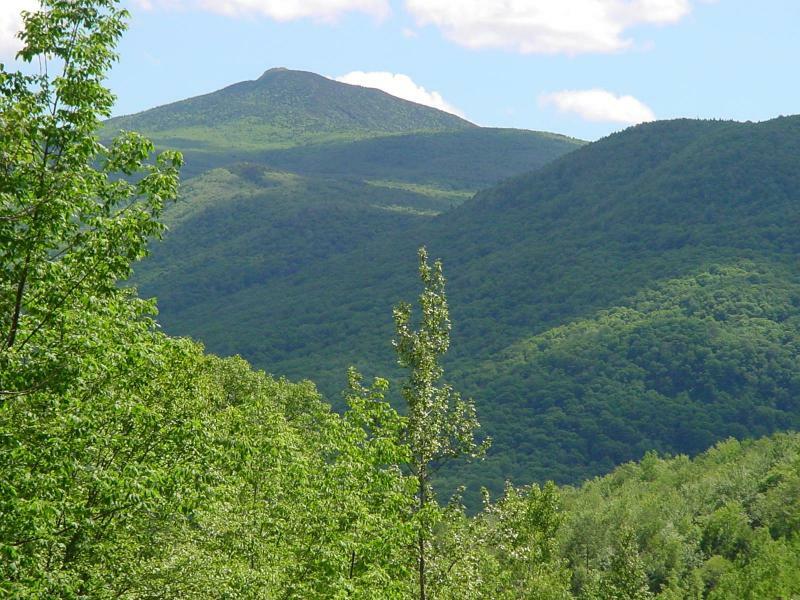 Green Mountain Power is building the Lowell Mountain project and will own it. In most cases, distribution utilities such as GMP buy power from other companies that own the power plants. However, in Vermont, distribution utilities are allowed to own power plants. Vermont has many small utilities and co-operatives that might disappear if they couldn’t own both the power plants and the distribution systems. However, the post-merger Green Mountain Power will be an almost-monopolistic company in terms of distribution. For a company like this to own a power production facility could be considered a step backwards in terms of utility governance. GMP is owned by a gas company, Gaz Metro. Gas and wind are a natural pairing. Wind farms have about 35% capacity factor at best, and must be backed up with a type of power that can come on-line quickly when the wind dies down. Wind energy is usually backed up with simple cycle gas turbines: these operate like a jet engine, coming on-line very rapidly. No power plant that raises steam can come on-line quickly enough to back up wind energy. Coal, nuclear and biomass plants all raise steam and cannot back up wind energy. As a matter of fact, the wind turbine will be “backed up” is a bit of a misstatement. Since the wind turbine will only operate about one third of the time (35% capacity factor), two-thirds of the electricity will come from the “back-up” facility. In other words, build a wind turbine, and and the back-up gas plant will provide twice as much electricity as the wind turbine provides. Gaz Metro plans to bring its gas pipeline down to Rutland. It can perhaps put in a gas-fired power plant to back up the wind turbines that GMP (another Gaz Metro company) builds or encourages. The Comprehensive Energy Plan ecourages gas fired power plants. As Guy Page of VTEP said, the new Comprehensive Vermont Energy Plan “talks a lot about building…medium sized natural gas plants.” The Comprehensive Energy Plan was put together very quickly, over the space of a few months, by Governor Shumlin's administration. Wind and Gas and Robert Kennedy Jr. In short, if the administration favors GMP and encourages the merger (which they are doing), Vermont will have its infrastructure run by a foreign utility. Vermont will encourage the mixture of wind turbines and gas power plants that are very profitable for that utility. This is a long way from the situation we have now, where the large distribution utilities do not own power plants. There are many reasons to think this situation will be worse for Vermont ratepayers than the current situation. The Vermont Public Service Board (PSB) and Department of Public Service (DPS) are supposed to protect Vermont’s interests. When Vermonters have suspicions about overly cozy relationships between politicians and power companies, these agencies are supposed to protect the consumer. Are the DPS and PSB doing their jobs? Note that the Lowell Mountain bloggers were very generous. They did not see this post before agreeing to share their pictures. Their loan of the pictures does not mean endorsement of the contents of this post. This post is the second in a series. The first was Gaz Metro: Who Owns the Vermont Infrastructure. I wrote this post for True North Reports. I am grateful for the opportunity to reprint in this blog. I rarely do a post which is mostly about links to other sources, but here goes. Three important articles, none written by me. 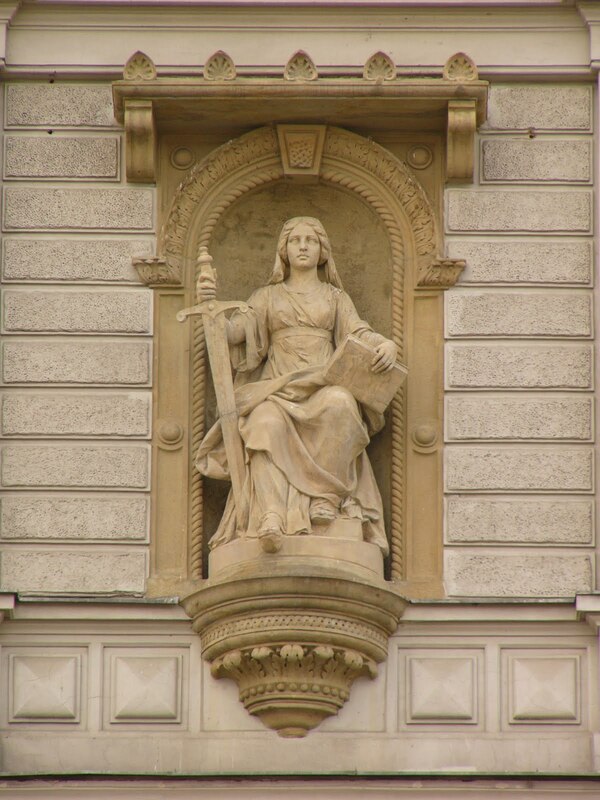 The Commerce Clause and the Shakedown Attempts: When I read the Judge's ruling, I was astounded at the directly-illegal stuff that the Vermont legislature did. As Cavan Stone noted in his guest post on the Control-H defense: what kind of legislature goes on the record with a statement with "Okay, we have to find another word for safety"? That's all about the pre-emption part of the ruling. Then there's the part of the ruling about the commerce clause. John McClaughry quotes from the Judge's ruling on that section. The legislature wrote letters to Entergy that could have been written by an assistant to the Godfather. It was basically a shakedown of Entergy. Read McClaughry's post: The Other Part of the Yankee Decision. Reading his post is like watching a gangster movie. A Victory For Vermonters: The local headlines on the ruling tended to be statements like "A Stinging Defeat." In True North Reports, Guy Page explains why the Murtha Decision was a Victory for Vermonters. Workers, ratepayers and the environment all benefit. He puts Vermont Yankee in context with Vermont power needs, Vermont revenues, ISO-NE and grid stability. A very rational report. NRC Public Meetings Need Improvement. In July, I wrote about the difficulties of getting on the agenda to speak at the NRC meeting in Brattleboro. Yesterday, at ANS Nuclear Cafe, Suzanne Hobbs Baker wrote of attending an NRC meeting in South Carolina. Her experience had many similarities to my experience in Brattleboro. The NRC has got to make some improvements about how they sign up speakers! Read How to Survive an NRC Public Meeting, and read the comments, too. VOGTLE REACTORS APPROVED BY NRC TODAY! NEI has links and videos! For the record: I head the Energy Education Project of the Ethan Allen Institute in Vermont, and John McClaughry is vice-president of that Institute. All fish are radioactive. South Vermont fish, North Vermont fish, all fish. The Vermont Department of Health (DOH) periodically tests radiation levels of fish in the Connecticut River. They always find background levels of radioactive strontium and cesium in the fish. Meanwhile, the opponents always say that Vermont Yankee contaminated the fish. In the past two days, the DOH has announced test results of fish from the far north of Vermont, far from Vermont Yankee. The fish had the same level of radioactivity as the fish near the plant. Background levels. Both the Brattleboro Reformer and the Burlington Free Press posted stories about the measurements of the northern fish. Here's a quote from the Reformer: "The results are that cesium-137 and strontium-90 in Lake Carmi fish is in the same range as Connecticut River fish," said Irwin. "We take this as some evidence that all fish in Vermont are likely to have radioactive cesium and strontium at these levels and that, as we've hypothesized, it is from nuclear weapons fallout and the releases of Chernobyl. All of us are glad to have proof and not just conjecture." "There's no danger in eating the fish," said Irwin. "Should we ever find that there are reasons to restrict diet from any sampling for any kind of radioactive or toxicological events, we would keep in mind different cultures have different diets." In the Burlington Free Press, David Deen, a long-time foe of the plant acknowledged, however, that if future samples remain consistent, then Vermont Yankee officials were right that the plant was not the source of the strontium 90. Claiming radioactivity in the fish is due to the power plant is a well-worn tactic. In 2010, when strontium was detected in a fish from the Connecticut River, the nuclear opponents made this a centerpiece of their marches. Maggie Gundersen said that people should "throw the fish back" and not eat Connecticut River fish. Her husband, Arnie Gundersen, said they were finding radioactive fish near the plant but "blaming the bomb." In other words, he implied that Vermont Yankee was saying the fish had merely background radiation, but that was just a way to avoid acknowledging that it was Vermont Yankee's fault. My blog post It's the Nukes What Gets the Blame describes these events. In 2011, there was another fish with strontium. Governor Shumlin said he wouldn't eat fish from the Connecticut River because of the strontium in this fish. Meanwhile the head of the Vermont Department of Health contradicted him, saying the fish was safe and the levels were low. I have a video of this press conference in the post That Strontium Fish in the Connecticut River. Later, Lochbaum and Markey weighed in on the side of the governor. I blogged about their assertions, also. They exaggerate. In a wonderful guest post, Richard Schmidt compared the relative dangers of strontium, mercury, and naturally-radioactive potassium in the fish. In his post What is the Real Impact? Richard Schmidt on Strontium, Mercury and Potassium in Fish, Schmidt points out that 2 % of the radioactivity in the fish comes from strontium, and the rest comes from natural potassium. Yesterday, the Brattleboro Reformer said pretty much the same thing. In the Reformer: In the same analyses, the fish had almost 500 times more potassium-40 in them than they do cesium-137, [Irwin] said. Potassium-40 is a naturally occurring radioactive material that is in nearly everything and was created when the planet was formed billions of years ago, said Irwin. In other words, the natural radioactivity in the fish swamps any man-made sources of radioactivity. It is safe to eat the fish. The fish in the north of Vermont. The fish near the plant. All the fish. Where did all that strontium come from? It came from atmospheric testing of nuclear weapons. Fallout is real. Fallout measurements are not something a power plant "hides behind." Though the atmospheric test ban treaty in 1963 stopped most of bomb testing, there have been 2000 bomb tests. On this video, you can see the accelerated rate of testing through the early 60s. Picture at the head of the post shows me approaching Blinky the fish outside a Public Service Board meeting in July 2010. I have the light-green top and black purse: Blinky has three eyes. Picture by Howard Shaffer, published in earlier blog post. All those junk laws that the legislature passed in 2006 are not constitutional. The Memorandum of Understanding holds and the PSB must rule on the Certificate. And the PSB can't consider radiological safety or insist on below-market power prices for Vermont utilities. The PSB must rule, but in what time-frame and on what grounds? The first question that came up was whether Vermont Yankee needs this Certificate from the Public Service Board by March 21, when the old certificate expires. The answer is "no." The Public Service Board can take as much time as it wants: the current certificate remains in effect until it rules. As the Judge wrote: Furthermore, Vermont law provides that a license subject to an agency’s notice and hearing requirements does not expire until a final determination on an application for renewal has been made. Will the PSB hold more hearings? The PSB does not have a deadline, and it is not clear whether future hearings will be required. The PSB might just issue a ruling. Back at the time of the infamous Senate vote, in early 2010, the PSB was no longer holding hearings on the Vermont Yankee certificate renewal. The rumor was that the PSB had gathered all the information they needed for their determination about a certificate. However, the Vermont legislative actions (now overturned) meant the PSB could not release their ruling at that time. I call this a rumor because the PSB made no public announcement that "we have ceased to hold hearings on this docket." On the other hand, they weren't holding any hearings. As you can see by the PSB website for the relicensing docket, the last hearing was held in May, 2009, with all briefs due to the PSB by August 2009. By late 2009, the PSB was done. They were ready to make a determination. Will the PSB issue the ruling they prepared in 2009 or early 2010? Or will they re-open the docket to more hearings? Entergy filed several requests with the PSB on January 31. The first one asked for an immediate ruling on the Certificate of Public Good, based on the information the PSB had already gathered. The second one asked that the lawyers who represented Entergy in the federal court case be permitted to represent Entergy before the PSB. The PSB did not grant these requests (so far) but they did set an end date for comments on Entergy's requests. As reported by Terri Hallenbeck of Burlington Free Press, the Public Service Board has asked that comments on Entergy's requests be submitted by March 2. As Hallenbeck writes, you can expect the state and the plant opponents to say the Board should take more testimony before issuing a ruling. If you go to the Vermont Digger website opinion section, you can see the usual suspects weighing in with the usual arguments. These arguments are supposedly arguments for more PSB hearings, but gee, they sound so familiar. What about those tritium releases? Entergy is staffed by liars. We must appeal the judge's ruling. It's time for civil disobedience and direct action against the plant. Etc. When I read these screeds, it's almost like the ruling never happened. The opponents are stuck on the same page they were before. However, actually, things have changed for the better. The PSB is the next step, and the State may also appeal the federal ruling. Yet things have definitely changed for the better. As my husband wrote while I was still in the hospital: The Rule of Law has been affirmed. You can link there to the Memorandum of Understanding, the recent Federal ruling, Entergy's request for attorney reimbursement, and January 31 filings by Entergy about the PSB docket. I will add more documents as needed, or by request of my readers. 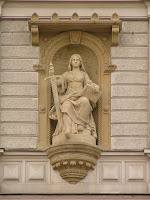 Statue of Justice from the Czech Republic. She is holding a book of the law. I have always liked this image better than the traditional "scales" image. The scales don't visually acknowledge that the weighing is not a stand-alone activity, but is done in context of the law. The 90th Carnival of Nuclear Energy Bloggers is up at Atomic Power Review. Once again, Will Davis leads off with a mystery picture: What is this? I always admire Atomic Power Review for its excellent graphics (among other things) but couldn't Davis make these mystery pix a little easier? On the other hand, I learn a lot by seeing the graphics and reading the explanations. Who on earth knew about....okay! I won't give it away! In the Carnival as a whole, Brian Wang of Next Big Future describes China's revised plans for new reactors (only 40 or so!). Rod Adams of Atomic Insights describes the potential start-up of a nuclear-based investment fund, and Dan Yurman of Idaho Samizdat describes other investment decisions (with odd twists) in nuclear energy. Wes Deason at ANS Nuclear Cafe describes the role of plutonium in spacecraft, and Gail Marcus of Nuke Power Talk has a sense of Deja Vu about the effect of the turmoil in the Middle East about energy decisions. Steve Skutnik of Neutron Economy combats the lack of numerical reasoning among some renewables supporters (no number, however high, of wind turbines actually equals a nuclear plant's output). At Yes Vermont Yankee, I discuss the implications of the recent court decision for upcoming Public Service Board deliberations. Wonderful posts, puzzling pictures, who could ask for anything more? Come to the Carnival! If nothing else, you can read it during the football breaks, between commercials. Great job, Will Davis! The two major electric utilities in Vermont have asked the Public Service Board for permission to merge. The two utilities are Green Mountain Power (GMP) a wholly-owned subsidiary of Gaz Metro of Quebec, and Central Vermont Public Service (CVPS). Public Service Board docket 7700 has been opened to consider this merger, and public comments are still accepted. In the proposed merger, Gaz Metro (the company that owns GMP) would buy CVPS, putting both utilities under Canadian ownership. This merger may not be good for Vermont. With this merger, 72 percent of Vermont’s electric utilities would be under Canadian ownership. The transmission line companies (TRANSCO and VELCO) that are jointly owned by the utilities would also be Canadian-controlled. Also, Gaz Metro owns Vermont Gas Systems (VGS) and VGS owns the only gas pipeline into Vermont. After the merger, one Canadian company would own most of Vermont’s electric utilities and all Vermont’s natural gas pipelines. Foreign Ownership of so much of the energy infrastructure in Vermont. Consolidation of Ownership by one powerful company. Weak Regulatory Control by Vermont, including conflict-of-interest issues. This blog post will discuss the first two issues. Later posts will consider other issues. It is not popular to make too much of the foreign ownership question, because it appears xenophobic to do so. Nevertheless, when countries export electricity or gas to other countries, they attempt to make a large part of their profits from the exports. The profits from the exports allow the country to sell energy (electricity or gas) more cheaply at home. …tight control over our energy market transactions and risks meant that every kilowatthour exported was highly profitable. A graphic about profits heads this blog post: it is from the HydroQuebec annual report. You can click to enlarge it. Gaz Metro does not break out its profits sources so neatly, and a careful reading of its annual report shows its GMP and VGS investments to be less profitable compared to its Canadian sales. Still, Gas Metro profits from GMP and VGS increased 40% between 2008 and 2009. One factor in the increased profitability was an increase of $3.8 million in GMP’s share of TRANSCO’s earnings. Since total Gaz Metro profits (all divisions) were $160 million dollars, this increase is quite significant. A United States Federal tax credit of $40 million dollars for the Lowell Mountain wind farm project will also be highly significant to the Gaz Metro bottom line. Gaz Metro will make a profit by entering the Vermont market: that is to be expected. They would not begin business in Vermont if they did not expect to be profitable. Still, no matter how physically or emotionally close Vermont may be to Canada, we should be aware that Canadian regulators often require companies to supply Canadian customers with energy at lower prices than foreign customers. Gaz Metro is required to supply natural gas at cost to most of its Canadian customers. If Canadian companies are a modest part of Vermont’s energy supply, Canadian regulatory constraints are not too much of an issue. If a single Canadian company owns most of Vermont’s electric distribution and all Vermont’s gas distribution, the requirements of Canadian regulators can have major impacts on Vermont’s customers. Consolidation of ownership issues tend to be the issues most discussed by commentators. So much of the infrastructure being owned by one company has been heavily discussed and challenged. In a recent article in Vermont Digger, Avram Patt, general manager of Washington Electric Cooperative, explained that whoever controls VELCO will make all of the major infrastructure decisions in the state. Because of this, municipal and cooperative utilities (including Washington Electric) have intervened before the PSB, hoping to protect their interests. John McClaughry echoes this concern in an article in Vermont Tiger entitled Senator Illuzzi and the Utility Merger Case. Vermont State Senator Illuzzi has also intervened in the merger hearing. As McClaughry writes: Illuzzi argues, rightly in my opinion, that VELCO is the big prize here, because the Canadians want to ship a lot of hydro power south to the major US markets in New York and Boston. VELCO essentially owns the transmission corridor. Illuzzi’s intervention filing rejects this as a solution: Apart from a pro forma share transfer agreement that appears as part of Exhibit I to the Application and some vague assertions, the Applicants’ claims about the “VELCO Conveyance” do nothing to remedy the concern that this merger, between the two largest utilities in the State of Vermont, would give them effective control over the decision making of the State’s only owner of high voltage transmission facilities. At the same time as the electric utility merger, Gaz Metro is planning to expand further into Vermont as a gas company. Right now, Gaz Metro only supplies gas to the Burlington area, but they hope to extend their pipeline to Rutland. Guy Page of VTEP reviewed the proposed Vermont Energy Plan: the plan supports Gaz Metro extending its pipeline south. Once the Gaz Metro pipeline is built, natural-gas-fired plants can make electricity. As Page said on VPR: "Well, it (the plan) talks a lot about building natural gas plants in Vermont, medium sized natural gas plants." Right now, there are no natural gas power plants in Vermont. However, after the utility merger and the pipeline extension, there may be many such plants. Gaz Metro may build the plants, GMP may build the plants, or other entities might build them. Gaz Metro will certainly own the pipeline, and profit by the existence of the new natural gas plants. In other words, natural gas or electricity, Vermont’s energy supply and energy transmission will depend heavily on Gaz Metro. This would be a major consolidation of energy supply sources in one foreign company. Vermont has regulated utilities. The Department of Public Service (DPS) is the consumers’ advocate when utilities come before the Public Service Board (PSB) in a docket about service and rates. After the merger, no matter how concentrated their holdings are in Vermont, Gaz Metro still must submit to the rulings of the PSB. People in favor of the merger point this out, and say that the DPS and PSB will protect consumer interests. So far, this is not happening. In later posts, I will discuss recent DPS and PSB actions, and on-going issues about conflict of interest. This post originally appeared at True North Reports. I am grateful to Rob Roper for permission to repost it here.